This month’s theme for my Loot Crate was Covert; this was a perfect theme because I have always wanted to be a spy. I also really enjoy when T-Shirts are included in the crates because I always without fail get complemented on every shirt that I wear from Loot Crate and I love to share where I got it from so that others can also enjoy receiving a Loot Crate. 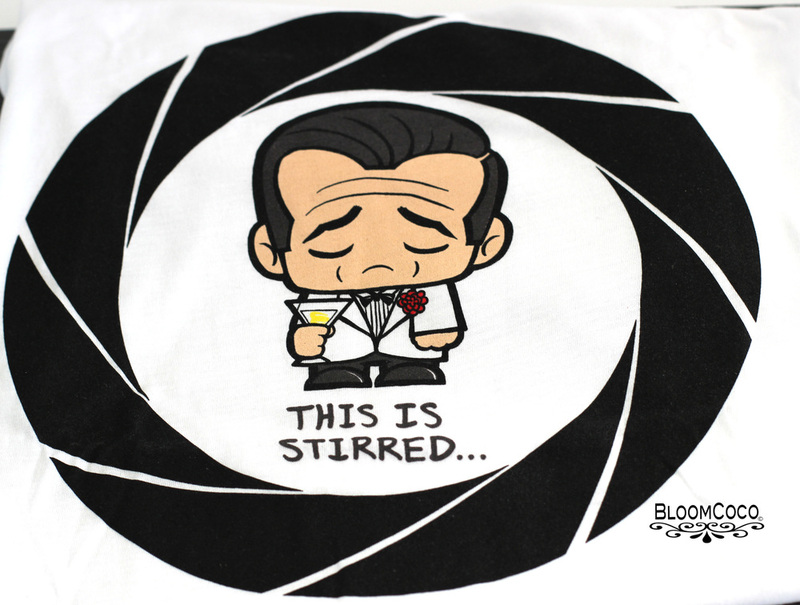 The T-Shirt this month is so soft as usual and I just really love it, its so cute and one cant go wrong with James Bond. The Loot Crate magazine was a good read I do enjoy reading the magazine; one of the things I was really excited about was the Agents of Shield lanyard. I haven’t had a Mad Libs in a very very long time so seeing one included in this months crate was a very nice surprise and its always fun. The watch is really cool, the only time that it shows you the time is when you want to know the time you, just press its face and see the time and then it secretly disappears. The item I never knew I wanted but I really like is the Paracord Survival Bracelet, I am so in love with it its in one of my favorite colors its just really cool! One show that I haven’t had the time to watch but have been wanting to is Orphan Black; it’s a Canadian sci-fi so I couldn’t wait to read the comic book another thing I can't wait to read is NINJAK which a digital download was included in this months crate. 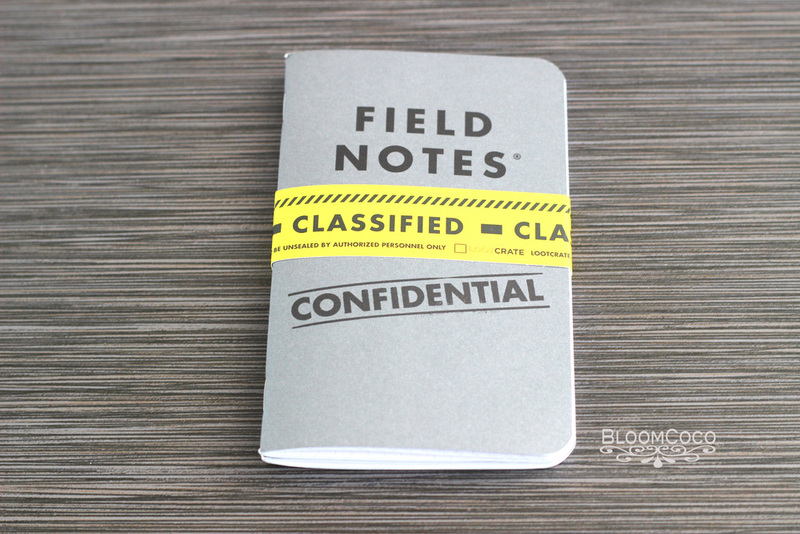 I love to write so another item I was so excited to get were the notebooks, I already have way to many but I don’t have any with a spy theme so they are a perfect addition. 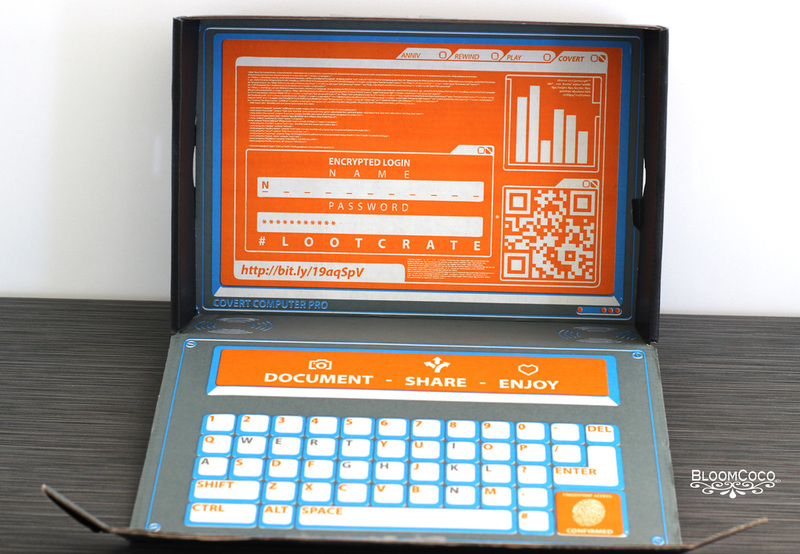 The Loot Crate box is always so fun and this month is was in a laptop design, if you haven’t checked out Loot Crate, you should check it out. They have a list of their past crate’s and more information. If you want a monthly subscription to Geek and Gamer gear LootCrate.com is the place to get it.